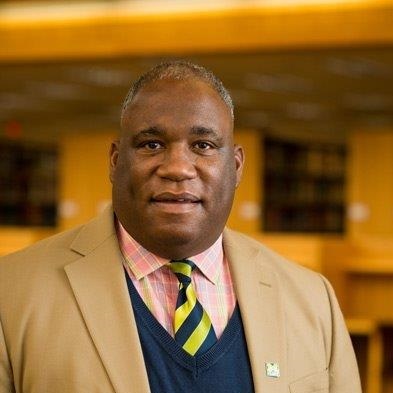 Dr. Tyrone Bynoe is an Assistant Professor of Education at the University of Michigan-Flint and an Associate Professor of Education Previously, he held teaching and educational leadership responsibilities with the University of the Cumberlands in Kentucky. Bynoe earned an Ed.D. in Educational Administration from Teachers College-Columbia University. He also earned an M.A. in Social Sciences, M.S. Ed. in Educational Administration and Policy Studies, an M.A. in American History, and a B.A. in American History, all from the University of Albany, NY. He has several administrative and teaching licenses in Kentucky and New York. Dr. Bynoe has a rich background in supervisory and pedagogical practice. He has been a New York State public school administrator involving grades K-12, and has experience as a History and Social Studies teacher. His academic interests include school finance, effective schools, teacher quality, organizational behavior, public school supervision, educational history and computer applications.